Mattresses are a major investment, and consumers have many choices when choosing to buy a mattress. Before purchasing one, however, it’s important to ask a few key questions regarding mattress warranties and what you should be able to expect as far as performance, quality, and refunds or replacements. Who provides the best structural support and foundation? Who has the best hassle-free customer support? Do mattress companies offer no-questions-asked refunds? Who offers the longest warranties, and what is covered in each type of warranty? What are the differences between prorated and non-prorated warranties, and which one is better? How do you file a mattress warranty claim, and what voids or nullifies a mattress warranty? This guide will answer these questions and more so consumers looking for a mattress for personal use can learn what kind of warranty they’re getting and where to get the best warranty from. What is a warranty, and why is it important? Warranties were developed to remove doubt from the minds of consumers. A warranty is a guarantee that a business’s product will act or perform in a certain way, for a certain period of time, under certain conditions. This allows consumers to purchase products without the fear that they may malfunction or not meet promised performance specs, on the manufacturer’s commitment that the product will be repaired or replaced should any issues arise. That your mattress will be replaced for you at no charge if something goes wrong that is not your fault (basically, if something goes wrong as a result of structural or production shortcomings). That you can claim this replacement for a specific amount of time after your purchase has been completed. That this commitment is being given to you from the manufacturer of the mattress itself, not the point of sale or vendor from whom you purchased the mattress. Mattresses are expensive! So it is important that you get a product worth your money, and that your investment is protected. If something goes wrong that is not your fault, you aren’t set back the entire cost of the mattress. You are instead given a replacement on the manufacturer’s dime. As mentioned above, warranties are used to assure customers of quality and give consumers peace of mind. Mattress warranties only cover production or manufacturing defects. 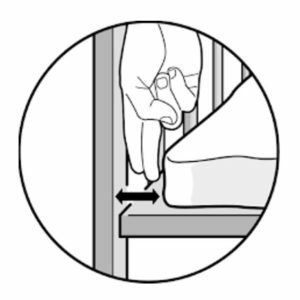 For example, your warranty would be valid and you would be covered if something were to go wrong with the structure of your mattress as a result of normal, proper use in a way intended by the manufacturer (like using the mattress for its intended purposes while having a firm foundation with adequate support). What’s NOT covered in a mattress warranty? The last three reasons are directly responsible for decreased satisfaction over time as a result of regular use, and are why most people change their mattresses. Disputes occur because people think these should be covered under warranty, but they are not. Mattress manufacturers offer warranties to give you peace of mind before you buy a mattress from them, but they still draw the line somewhere. 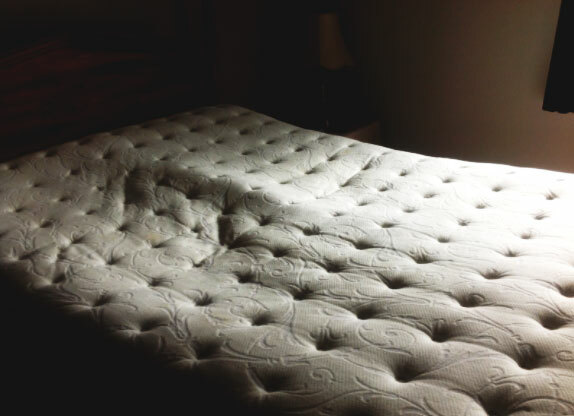 Here are a few things you should avoid doing so that your mattress remains under warranty. Removing the “law” tag will void your warranty. Many products made for home use, including mattresses, have a tag that says “Do not remove under penalty of law.” This law was implemented to protect consumers from potential illnesses caused by the use of unsanitary stuffing in pillows and mattresses such as horsehair and corn husk. Any manufacturers using these stuffings before were forced, under penalty of law, to disclose what their products were filled with. So while removal of the tag is illegal for manufacturers and sellers, consumers can, in fact, remove the tag. However, the reason why removing it will void your warranty is because the tag ensures that the manufacturer can trace specific products, and without a tag, there is no way to tell two different mattresses apart. Stains will void your warranty. 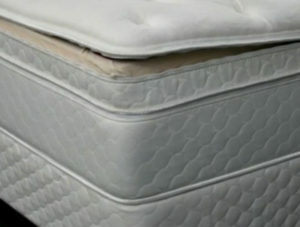 Liquids such as coffee or carbonated sodas can cause mattress foam to deteriorate or disintegrate faster than normal. Also, drink stains are very unhygienic, meaning no one would want to buy such a product should it be returned by you to the manufacturer. Waterproof mattress protectors (such as these ones) are a great idea, and they help prevent not just stains caused by outright spills but even perspiration stains that develop slowly over time. Improper support such as a non-matching or old box-spring, or a missing support bar will void your warranty. Putting your mattress directly on the floor will also void your warranty. Check your warranty for mattress-specific sizes that you should use, as well as for other useful support specs and recommendations. You can expect, as a rule, that mattresses with longer warranties will last longer, and that mattresses with shorter warranties will not last as long as their higher-quality counterparts. However, for both high-end or long warranty mattresses, as well as for lower-end or short warranty mattresses, the actual useful life of your mattress will be LESS than the length of the warranty. When trying to calculate the life of a mattress, first select your preferred price point and scale up or down the estimates above while keeping in mind the wear and tear that you expect to put your mattress through as part of your normal usage routine. Having your mattress transported, repaired, and brought back, which is not only a nuisance but can also be costly. Prorated warranties also have this cost, but manufacturers may be less likely to split the cost with a non-prorated warranty. Check warranty information specific to your mattress of choice for details. Mattress manufacturers generally use a combination of both types of warranty. You can expect, for example, a non-prorated warranty to cover your mattress for the first few years, after which you are covered by a prorated warranty for the next few years until the entire warranty period is over. To file a warranty claim, you’ll need to contact the customer support department of the manufacturer to issue a claim and submit either photo proof, proof of purchase, or both. It could take between one month and a month and a half to get things rolling and to have an inspection team visit your home to determine whether or not your case is sound, but otherwise the process is generally fair and straightforward. Although you may have to pay for the inspection team’s visit yourself (as well as transportation and delivery charges), customers are often refunded if their claim goes through and their mattress is in fact determined to have been defective. 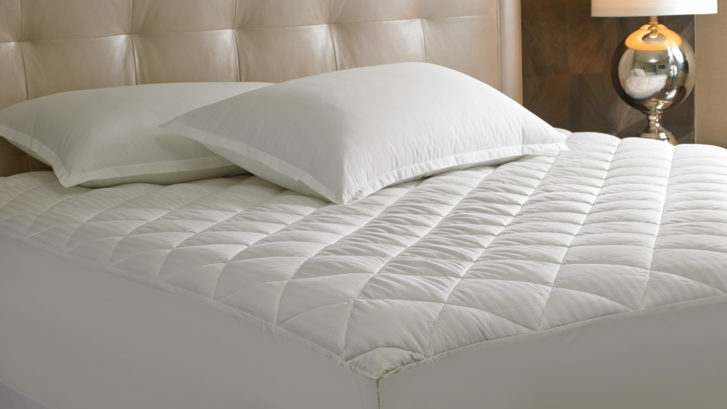 The best preventive measure is always a proactive, safety-first approach to mattress care, so be sure to use a mattress protector and be careful with liquids around your mattress. Don’t use your mattress for anything other than sleeping on or lying down on. By doing this you can save a lot of headache and heartache when it comes to voided warranties and replacement and repair costs. If your mattress does get dirty, see our guide on How to Clean a Mattress. The following table summarizes relevant warranty details for some of the more popular mattress brands. Because mattresses are so costly, and because having a comfortable mattress is directly linked to comfort and well-being, it is important to protect your mattress. Warranties help you get the most out of your mattress, so be careful not to void your warranty. Always follow the manufacturer’s use and care instructions. Depending on the size of the mattress you purchase, you will need a frame and mattress support of specific sizes. Your mattress will come with a specs sheet outlining what size and type of support your mattress requires, so be sure to purchase one within the required range. It’s always a good idea to look at customer reviews before making a purchase. Reviews are a great source of first-hand usage reports and personal recommendations made by thousands of consumers just like yourself. There are a number of independent organizations that are dedicated to collecting various types of mattress data. Some of these organizations also conduct quality checks and tests, and they publish their findings several times a year. At Consumer Reports, you can find useful customer reviews, mattress buying tips, and convenient grading scales for mattress comparisons. The site even debunks several mattress myths for you! The International Sleep Products Association (ISPA) is another great resource if you are looking for specific information on anything from mattress industry projections to historical data. Here you can find a lot of information on various mattress quality standards. The site provides details on the usable life of different bedding parts as well. The ISPA was established with the stated goal of encouraging people to invest in better bedding and to promote more awareness of the relationship between bedding and overall well-being. If you want to get a general idea of how established a certain manufacturer is, or how professionally they handle everything from warranty claims to customer service, try visiting the Better Business Bureau. A BBB review, as they are called, is basically a review of company licensing, consumer experiences, accreditations, and government actions relevant to that specific company. For example, BBB’s review of Tempur-Pedic International, Inc., can be seen here. Each review gives you everything from company contact info to accreditation level, customer reviews, and complaint information. Finally, at CalRecycle.gov, you can find interesting information on mattress management, how and where to recycle, new programs related to mattress parts and replacement, and laws pertaining to the purchase and disposal of different types of mattresses.